Please find above our general company brochure. You can click on the image to view or download our brochure in PDF-form. A high quality PDF or printed version are available upon your request. 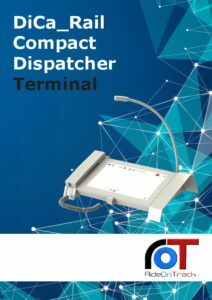 Please find above our compact dispatcher brochure. You can click on the image to view or download our brochure in PDF-form. A high quality PDF or printed version are available upon your request. 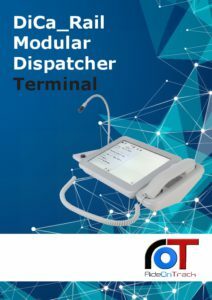 Please find above our dispatcher brochure. You can click on the image to view or download our brochure in PDF-form. A high quality PDF or printed version are available upon your request. Please find above our general company presentation. 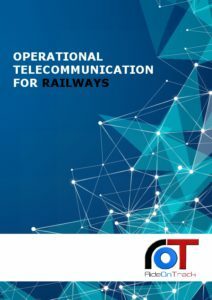 You can click on the image to view or download our brochure in PDF-form. A high quality PDF or printed version are available upon your request. 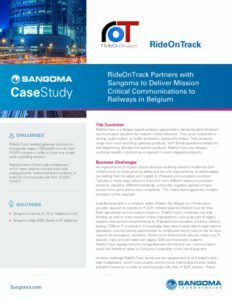 Please find above a case study of RideOnTrack by Sangoma. 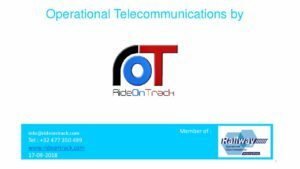 "RideOnTrack partnered with Sangoma Technologies to ensure the co-existence of legacy telecommunication equipment with their IP (SIP) counterparts." 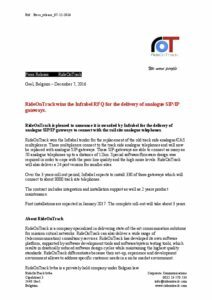 RideOnTrack is pleased to announce it is awarded by Infrabel for the delivery of analogue SIP/IP gateways to connect with the rail site analogue telephones. 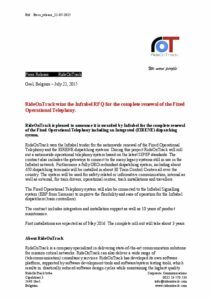 RideOnTrack is pleased to announce it is awarded by Infrabel for the complete renewal of the Fixed Operational Telephony including an Integrated (EIRENE) dispatching system. 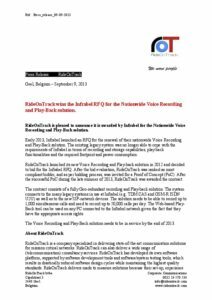 RideOnTrack is pleased to announce it is awarded by Infrabel for the Nationwide Voice Recording and Play-Back solution. 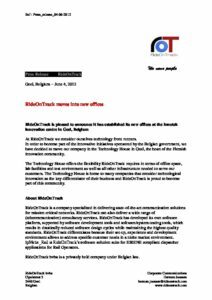 RideOnTrack has moved to the Innotec office building. As a result of our continued growth and expansion, our company required increased office space and infrastructure.